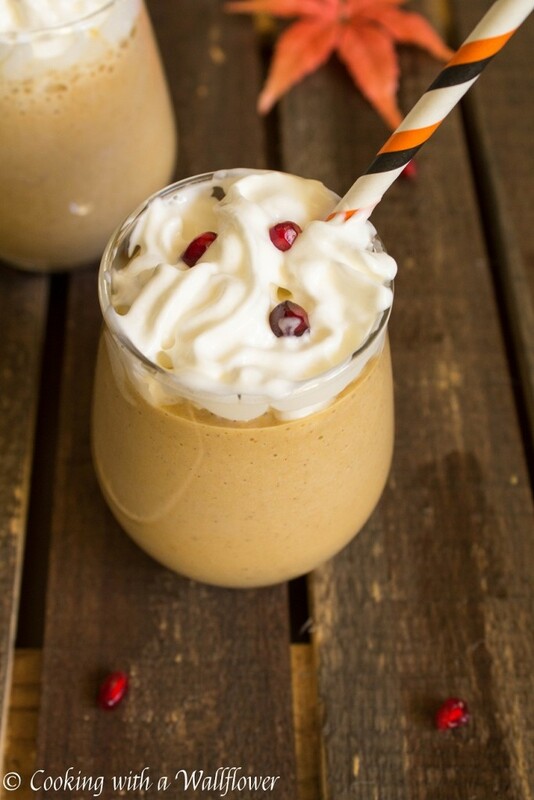 Pumpkin puree, pumpkin pie spice, coffee, and soy milk blended into a delicious milkshake. This pumpkin coffee milkshake is the perfect pick me up for fall. The moment it turned October, Pumpkin Spice Latte burst onto the scene. It’s almost everyone’s go to drink during the fall. I love the taste of coffee (and pumpkin), but unfortunately for me, the caffeine in coffee gives me a headache. Which is the strangest thing ever, because while I was studying for exams in school, I used to drink coffee all the time and had no issues. But once I was done with school, coffee means headaches and fast heart rate. 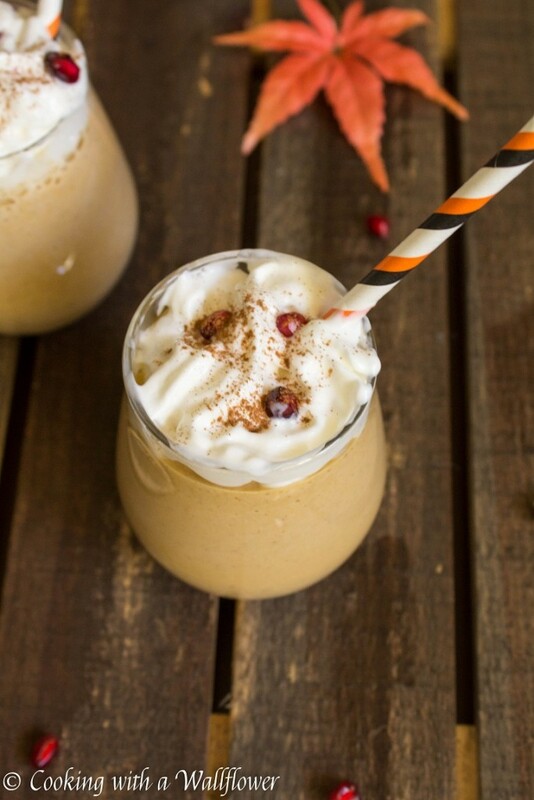 So, rather than a pumpkin spice latte, or a pumpkin frappucino, because I can’t have any, sadly, we’re getting a Pumpkin Coffee Milkshake. I know, I know, it doesn’t have as nice of a ring to it, but I swear, it’s just as good. This version tastes like pumpkin and coffee, but it’s mostly soymilk. You can use regular milk or almond milk too. It’s just your preference. 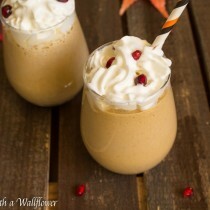 Blend pumpkin puree, pumpkin pie spice, strong brewed coffee, maple syrup, condensed milk, and soymilk. If you want your drink super cold, you can refrigerate the blended beverage for at least an hour. Or place it in the freezer. Pour the milkshake into glasses and top with whipped cream. 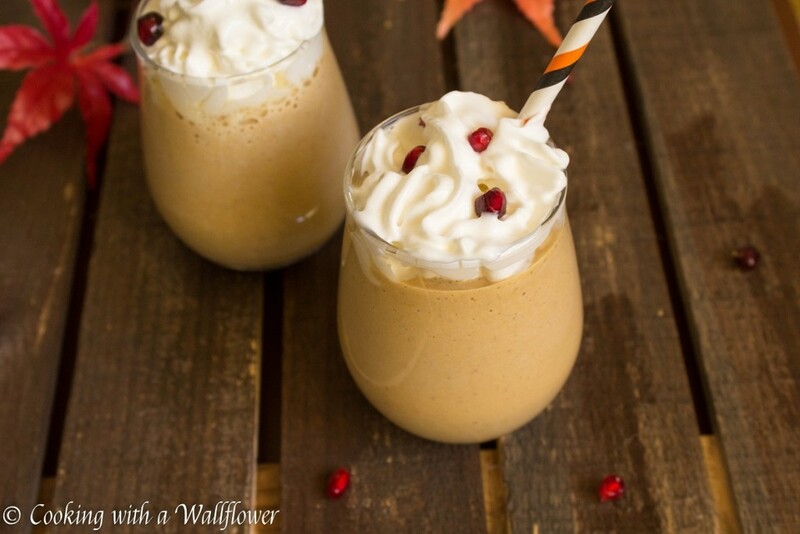 Serve the pumpkin coffee milkshake cold. 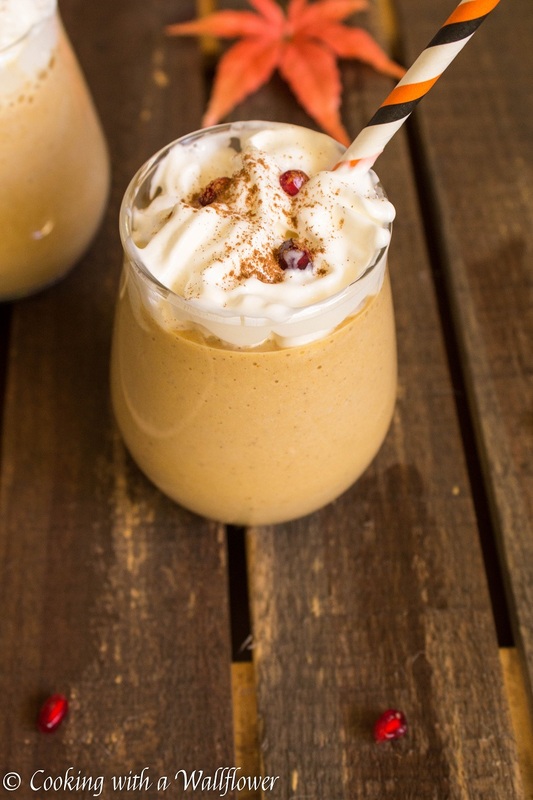 This entry was posted in Beverages, Fall Cravings, Gluten Free, Quick and Easy, Vegetarian and tagged beverage, fall recipes, pumpkin, quick and easy, vegetarian. Do You mean ground cloves or clover? May be 1/4 tsp of ground cloves? Cloves. Thanks for catching my typo!